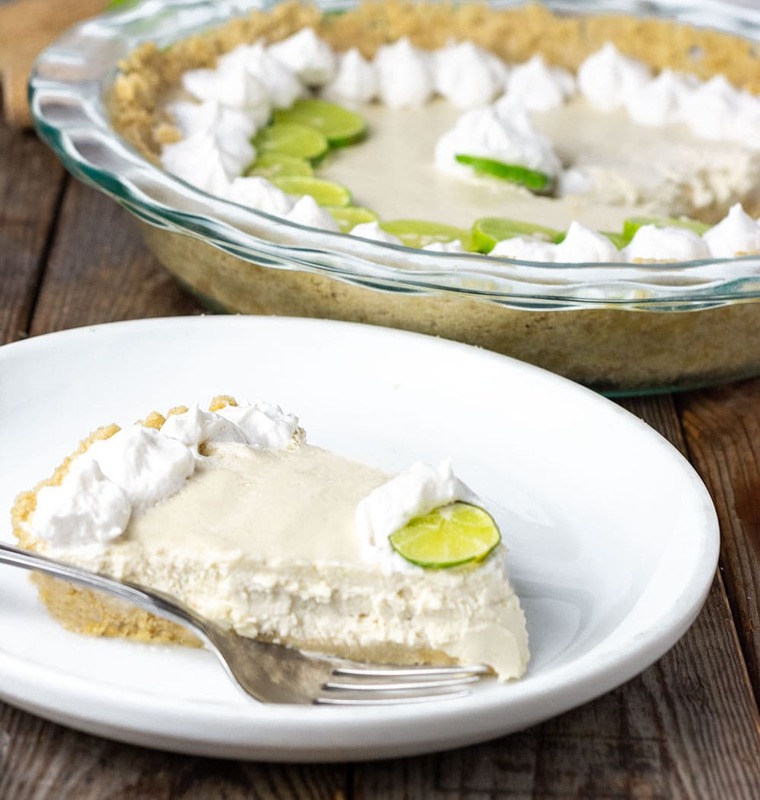 An absolutely addictive vegan key lime pie that is quick and easy to prepare! This creamy, tart and sweet key lime pie recipe is made with fresh key lime, coconut milk, cashews, maple syrup, and a homemade Graham cracker crust. 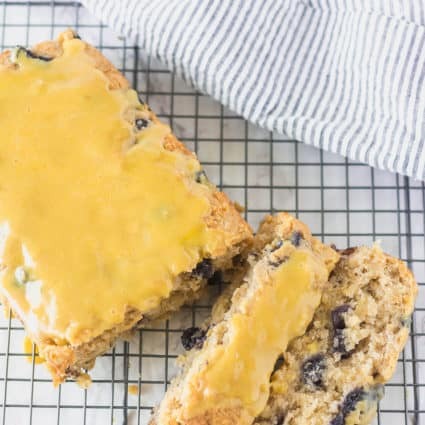 It's vegan, dairy-free, gluten-free. Recently my daughter bought some key limes at the local supermarket to create a key lime pie recipe. I have been making lots of outrageous no-bake pies lately like my, Vegan Banana Cream Pie, Vegan Peanut Butter Pie, and Vegan Strawberry Cream Pie. The smell of key lime is incredible, citrusy but distinct. They are much smaller than Persian limes so they produce less juice. If key limes aren't available in your local area, you can substitute with Nellie & Joes Key Lime Juice for making an authentic key lime pie recipe. 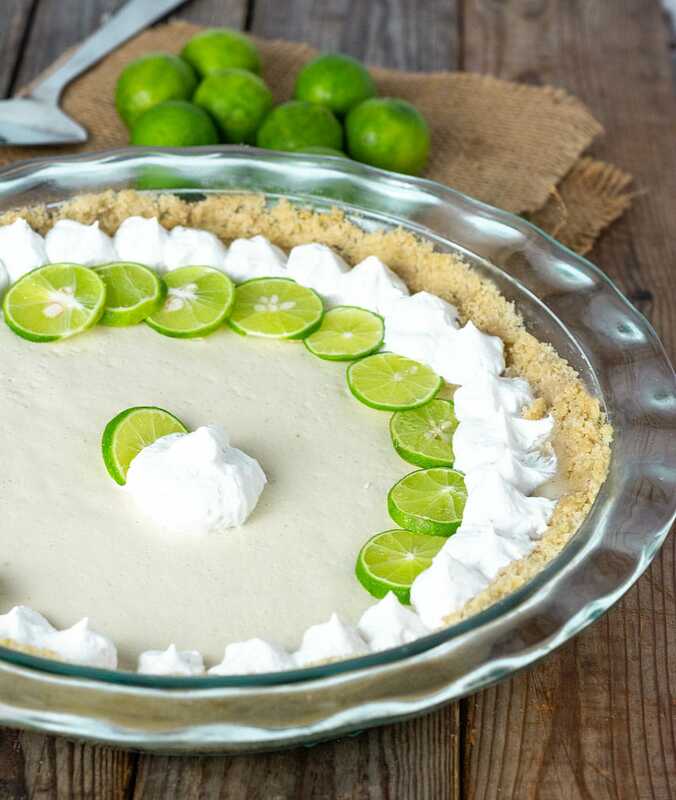 However, if all else fails and you have regular limes then go ahead and make this recipe because it is the best key lime pie recipe! My family enjoyed it and asked for seconds. The traditional American pie made with key lime juice, condensed milk, and egg yolk, in a pie crust. The dish earned its name after the small tart and aromatic key limes that were grown in the Florida Keys. Learn more about Key Lime here! However, my recipe is totally vegan with cashews, coconut cream, instead of condensed milk. When Are Key Limes In Season? Here in Florida, they are harvested from June to September, but some fruits are pretty much available year-round. Where Did Key Lime Pie Originate? Although the exact origin of the key lime pie is unknown. 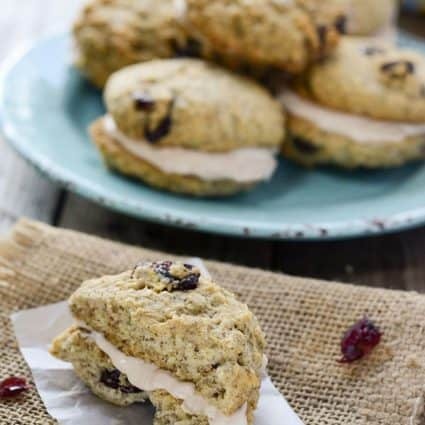 The first recorded recipe was made by Aunt Sally, the cook of William Curry. He was Key West's first millionaire, who was a ship salvager. Coconut Cream - To make homemade coconut cream, chill 1 (15-ounce) can of coconut milk overnight in the fridge. The next day, open the can and remove the solid white coconut cream that formed on the top, reserve the remaining clear liquid to add to curries and smoothies later. You can purchase online. How Many Key Limes To Make A Pie? For a 1/2 cup of juice, it took 16 key limes. If you use regular limes, the juice of 4 limes will do. I must admit that juicing the key limes were a bit annoying and I was tempted to call it quits and use regular Persian limes instead but I'm happy I didn't give up. The flavor of the pie was worth it and I admit making the filling was easy, I just added the ingredients and blend. For an easy key lime pie, bulk juice your key limes the day before, save the amount you need for your pie and freeze the rest in batches. How To Make Key Lime Pie? 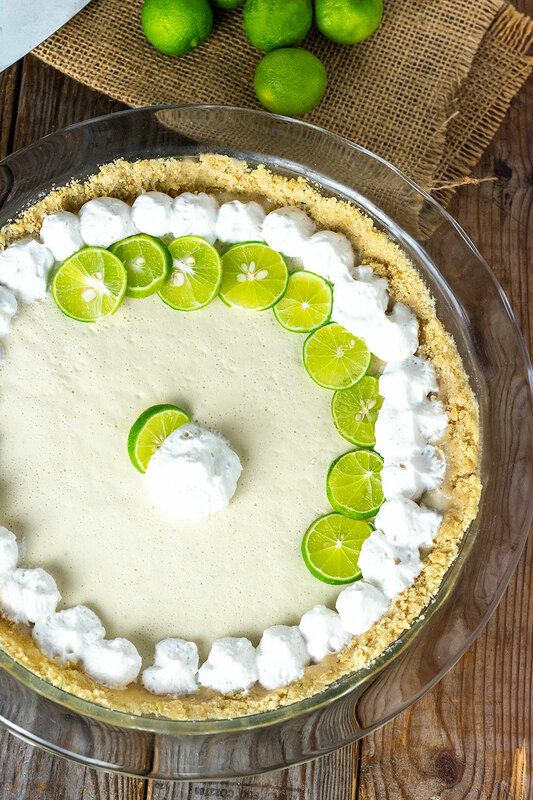 To make this homemade key lime pie, make homemade Graham Cracker Pie Crust or use storebought. 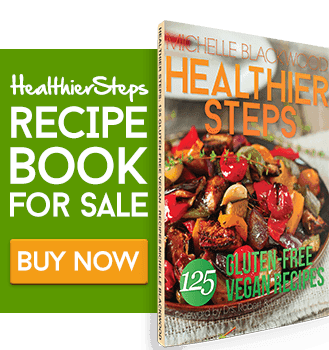 To make the filling, blend coconut cream, cashews, maple syrup, key lime juice, coconut oil, lime zest and salt in a high-speed blender until smooth and creamy. Pour filling into prepared pie crust. Transfer pie to freezer for 2 hours, remove and garnish to and lime slices. Serve. Can You Freeze Key Lime Pie? Absolutely, you can freeze your key lime pie for 3 months, leave off the garnishing and add them when you are ready to serve your pie. Wrap key lime pie in a heavy-duty freezer bag. If you make this no-bake key lime pie, snap a photo and hashtag #healthiersteps — we love to see your recipes on Instagram, Facebook & Twitter! 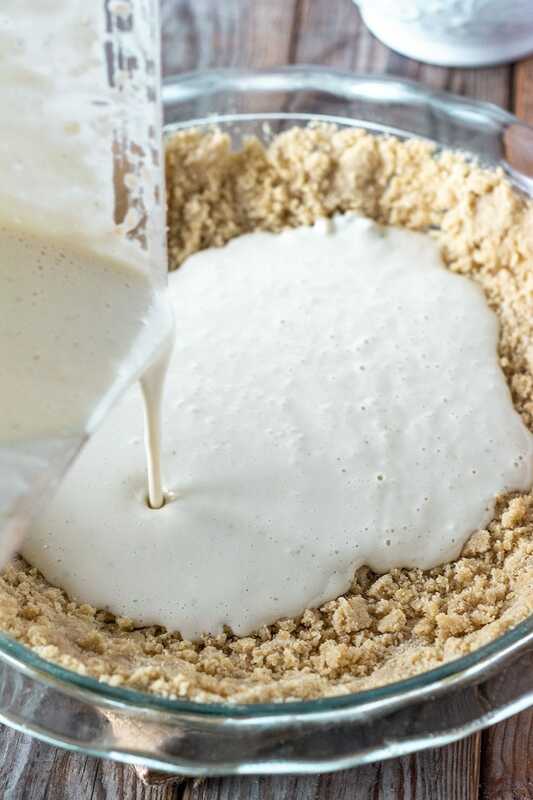 Prepare Graham cracker pie crust, set aside to cool. In the meantime prepare the pie filling. 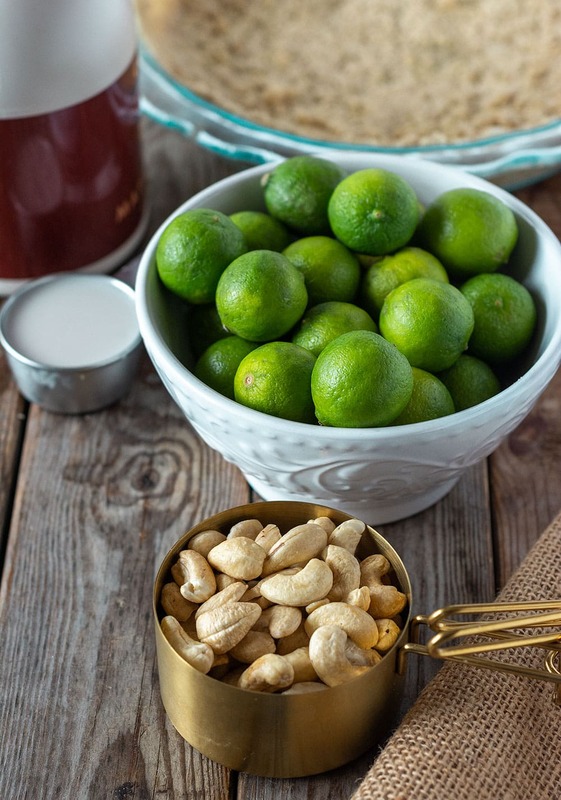 Place drained cashews into a high-speed blender with coconut cream, key lime juice, maple syrup, coconut oil, lime zest, salt and blend until creamy. Pour the filling into the pie crust. Transfer pie to the freezer for 2 hours to set. Remove pie, garnish with coconut whipped cream and key lime slices. Filling adapted from Minimalist Baker. Prep time doesn’t include Graham cracker pie crust nor soaked cashews or homemade coconut cream. I’ve never had key lime pie before, and I don’t think we can even get key limes around here. But I would definitely love to try this pie. 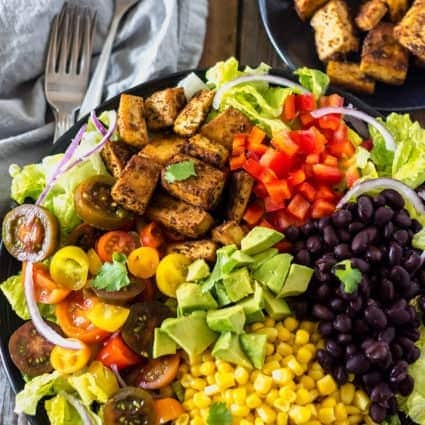 Love that it’s vegan, and it looks perfect for spring! 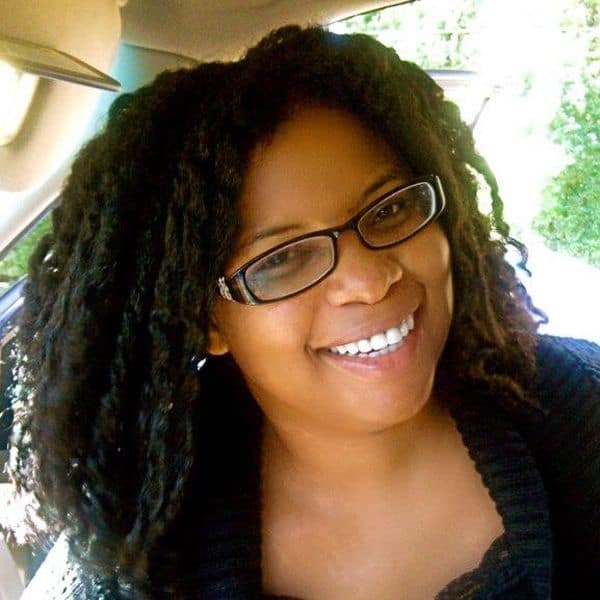 Thank you Leanne, you can purchase key lime juice online or at health food stores. I hope you try it.